You are not alone thinking that that there might be a better lifestyle solution. We want to help you discover that downsizing is not a problem but an opportunity to spend your days doing new things with new friends in an upmarket but affordable community. Here are a few free articles that will help your research. Learn differences between the two most common forms of retirement accommodation: Self Care Retirement Villages and Land Lease communities in this 12 page handy guide. 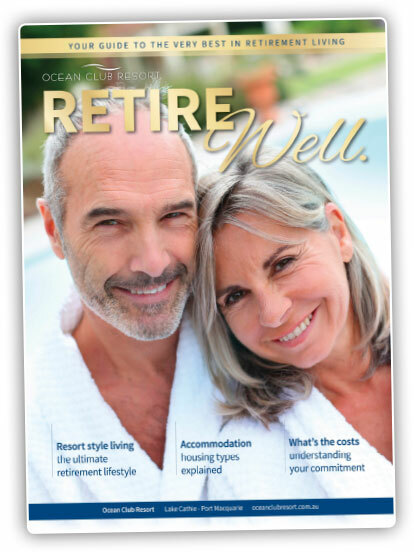 Retire Well also describes the popular accommodation styles and in simple language explains the costs and financial arrangements involved. It also compares the various types of retirement communities that will help you to understand the differences and ultimately make a more informed decision. Finally, the guide includes a 12-point checklist that will help you prioritise your essential 'non-negotiable' features over those that are simply nice to have.